Rava gulab jamun | Sooji Gulab Jamun Recipe using video and step by step instructions for your easy understanding and learning. 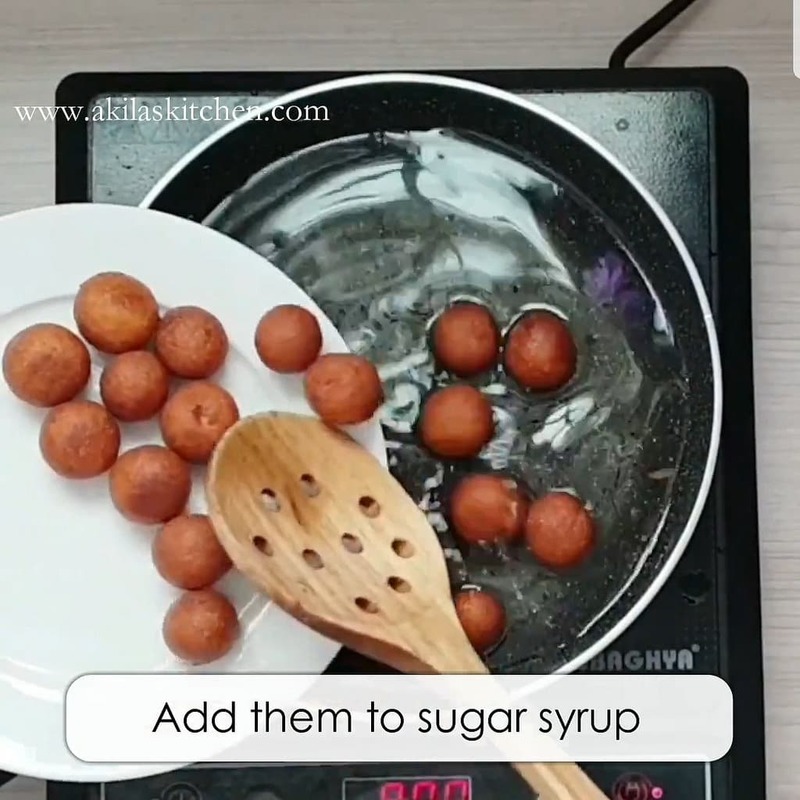 Today we will learn how to make the rava gulab jamun | Sooji Gulab Jamun Recipe using easy step by step instructions and video. 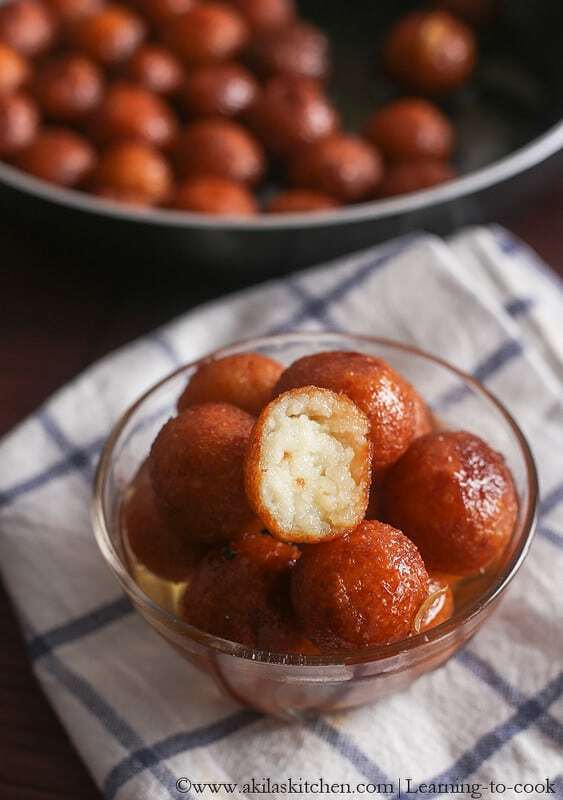 If you got guests in your house and you don’t have the instant gulab jamun mix do not worry. 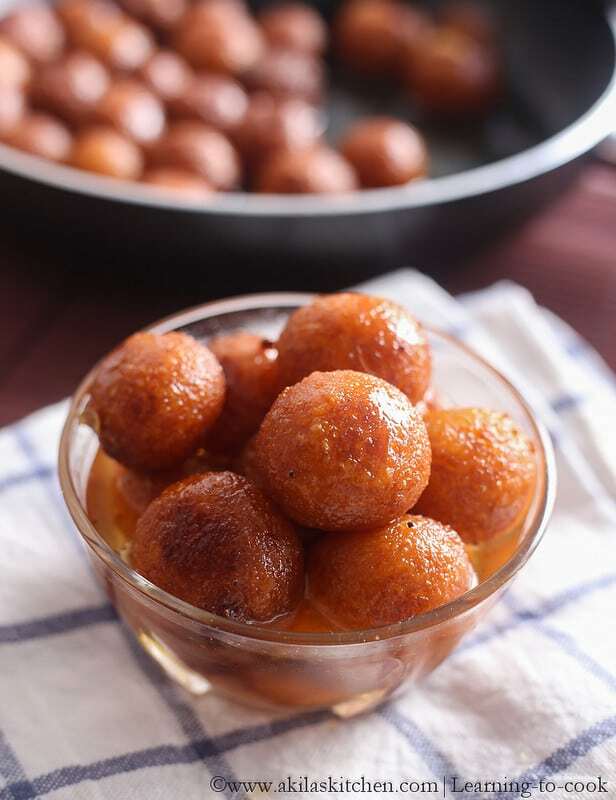 If you have rava in your house then you can make this rava gulab jamun | Sooji Gulab Jamun Recipe easily. 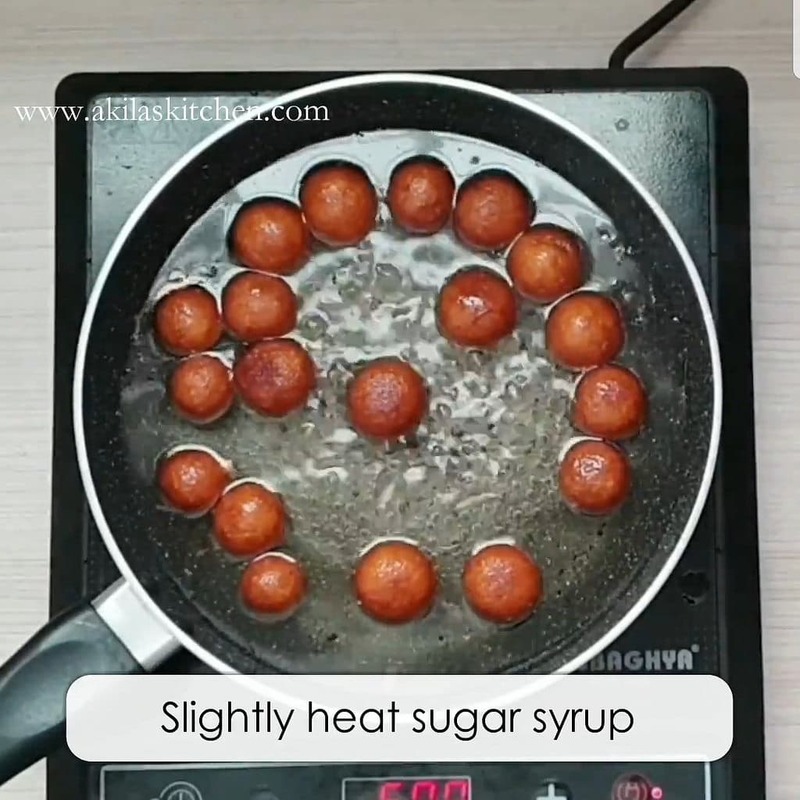 Gulab jamun can be made in a traditional way using khoya or mawa or using the bread like bread gulab jamun or just using the store bought gulab jamun instant mix. 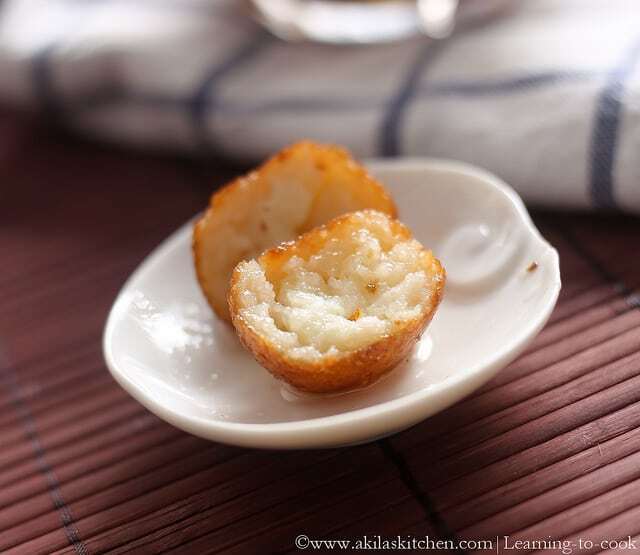 Now you can also make gulab jamun using the rava (also called semolina or sooji). 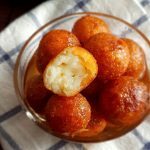 This rava gulab jamun turns out to be as soft as the traditional gulab jamun and also tastes great. 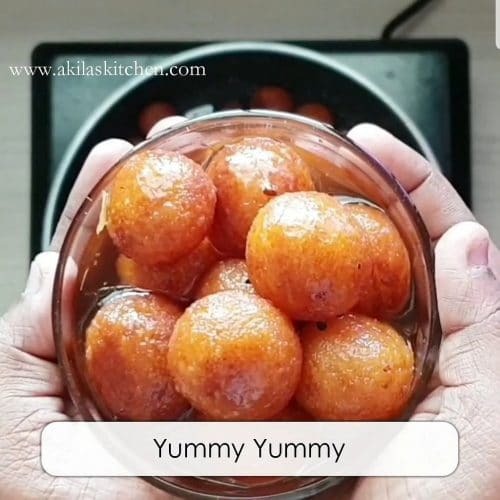 Do try this rava gulab jamun or sooji gulab jamun and let me know how it has turned out to you. If you like sweet recipes then you can take a look at my other sweet recipes like mango halwa using corn flour, traditional mango halwa, Rava Kesari, Semiya Kesari, Badam halwa, chana dal halwa, pooran poli, Tomato sweet pachadi. 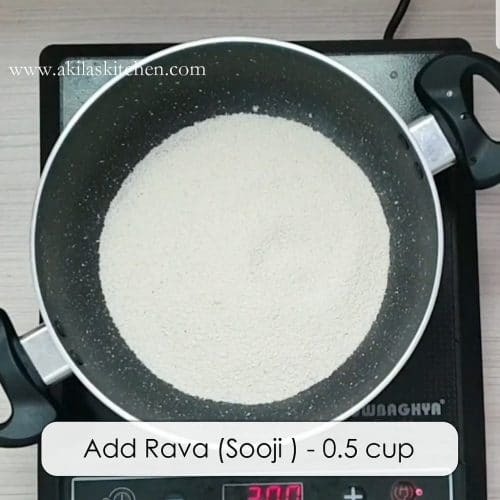 If you like rava or sooji recipes, then do try these recipes like – rava bread toast, rava payasam, rava kichadi, coconut rava payasam, potato rava cutlets, rava idli. In the heavy bottom pan add sugar and water and mix until the sugar dissolves completely. To this add cardamom and pinch of saffron and allow to boil for some time. 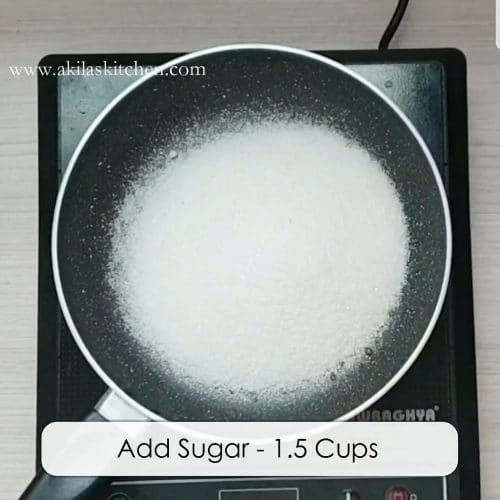 When the sugar reaches single thread consistency then switch off the stove and keep aside the sugar syrup. Now in another heavy bottom pan add 1/2 cup of rava and start frying it. Do not fry it till it becomes brown in color. Before that stage itself remove it. Now Grind this rava to a fine powder. If you are using fine rava then you can use it as it is. No need to grind it. 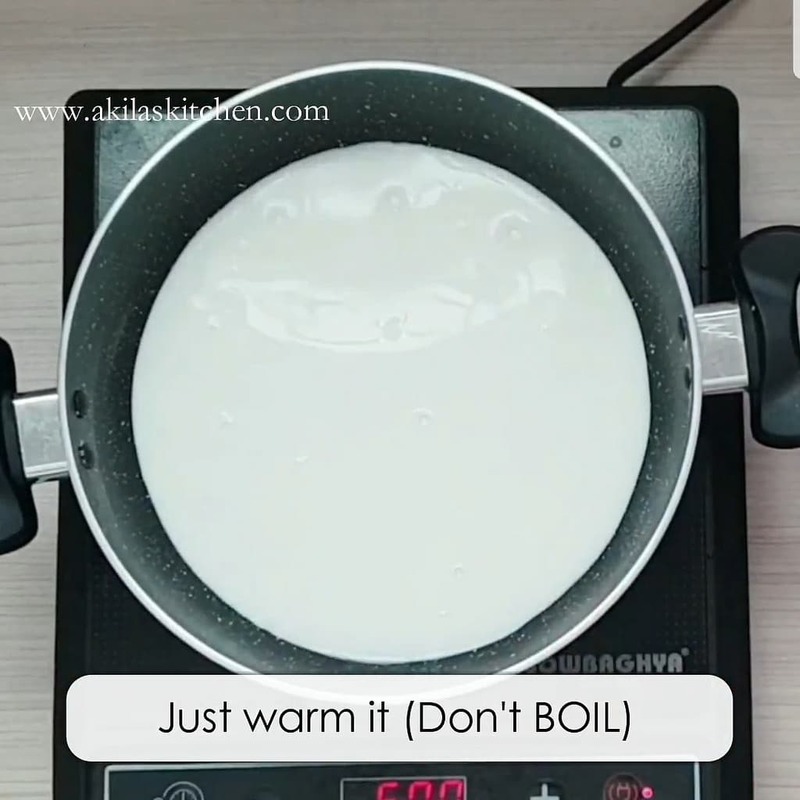 In the same pan add milk and just warm it. No need to boil it. Add the ground rava to this and start mixing it immediately. Do not give any gap as it forms lumps and it will be hard to break later. When you keep on mixing the mixture becomes thicker. 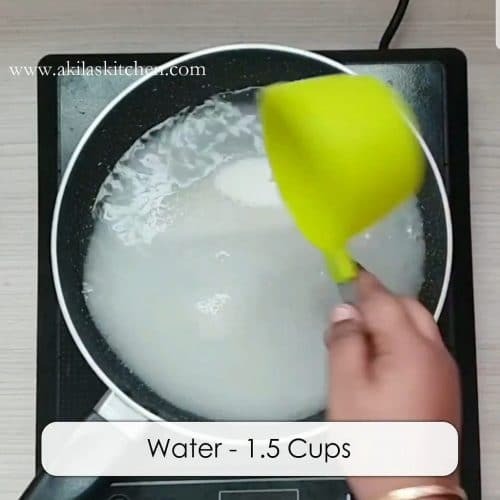 Now and the ghee to this and add a pinch of salt and mix it and switch off the stove when it turns thick but still soft. Transfer this to another vessel and start to knead to make it even more softer. 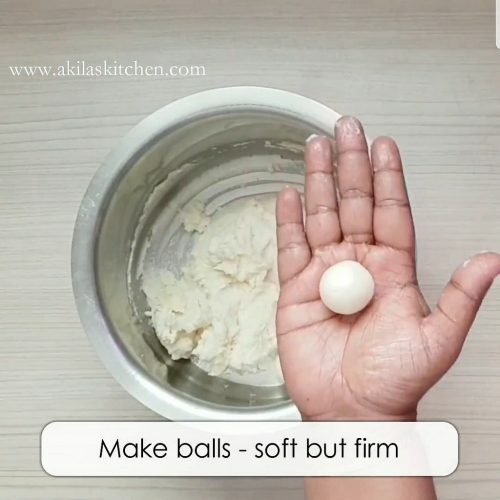 Apply some ghee on your hands and start making small soft balls. 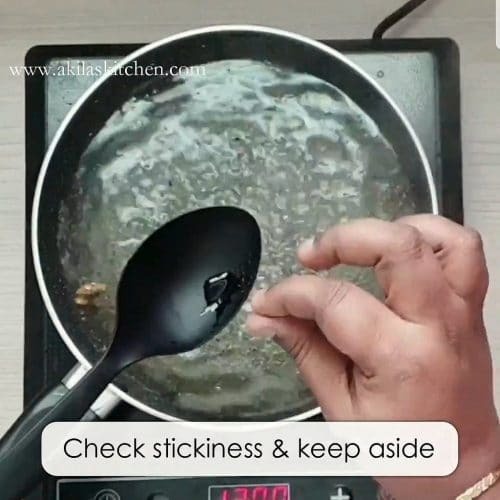 So that the mixture does not stick on your hands. Now in another vessel add enough oil to fry the balls. Drop the balls one by one on the hot oil and start frying it. Fry it until it becomes light golden color. Do not over fry it. Also do not fry in very high flame as the outer layer becomes black soon and the inner part will not be cooked. Once the balls have turned to light brown color remove it from the oil and add them to the sugar syrup which we have prepared previously. Since the sugar syrup would have cool down by now slightly, heat the sugar syrup slightly once the balls are added. Repeat the same process for the other batch of balls. Let the balls rest in the sugar syrup for 2 to 3 hours so that it completely absorbs the sugar syrup. 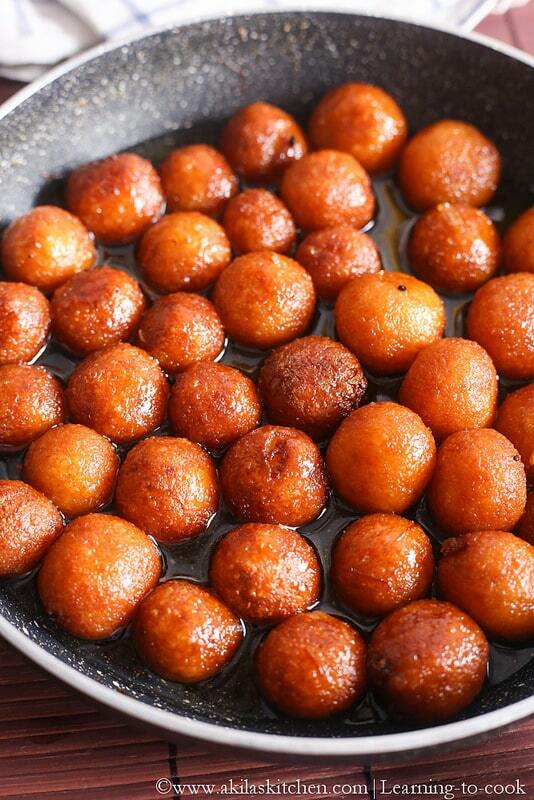 After three hours of soaking in sugar syrup the balls would have become very soft gulab jamuns. Serve the rava gulab jamuns in a bowl. Yummy and tasty rava gulab jamuns are ready. 1. In the heavy bottom pan add sugar. 3. 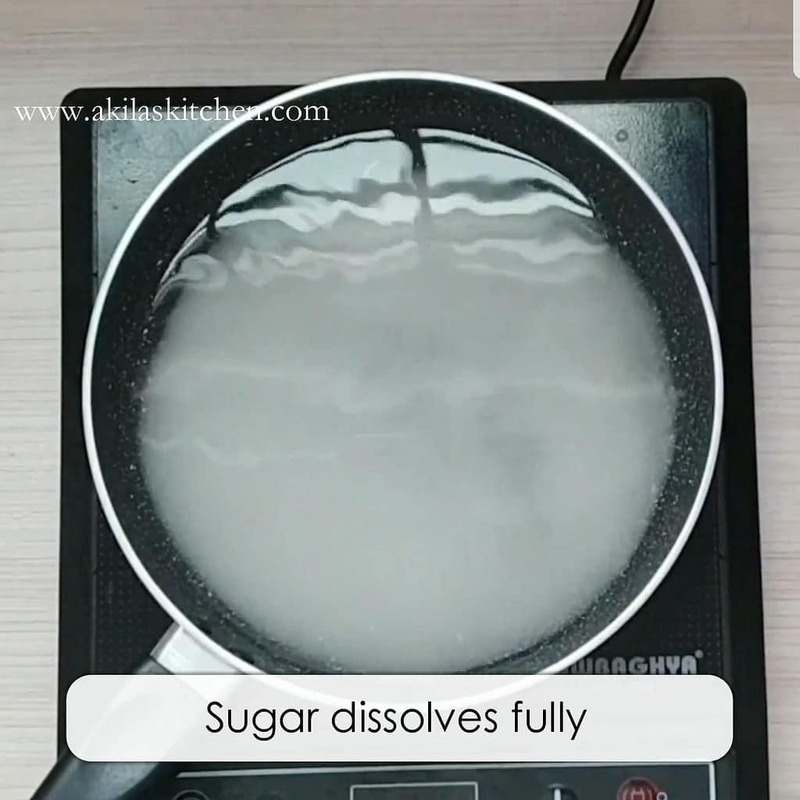 Allow sugar to dissolve completely. 4. 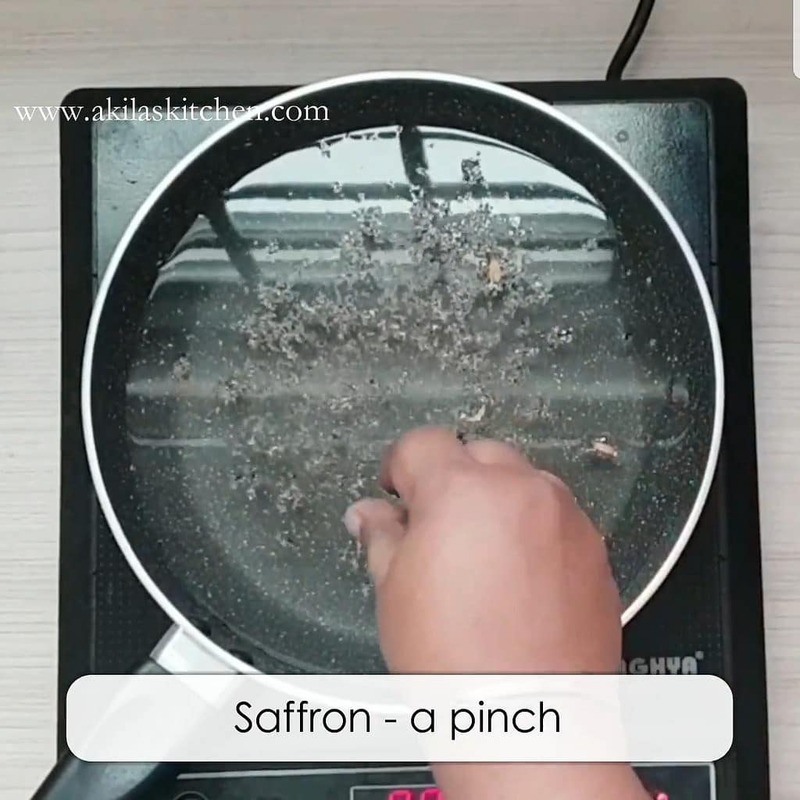 To this add cardamom and pinch of saffron and allow to boil for some time. 5. When the sugar reaches single thread consistency then switch off the stove and keep aside the sugar syrup. 6. Now in another heavy bottom pan add 1/2 cup of rava and start frying it. 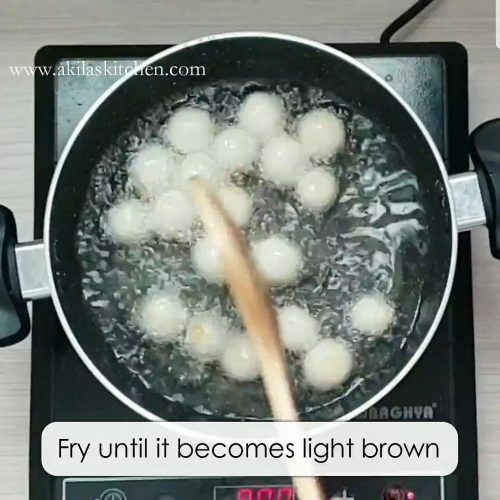 Do not fry it till it becomes brown in color. Before that stage itself remove it. 7. Now Grind this rava to a fine powder. If you are using fine rava then you can use it as it is. No need to grind it. 8. 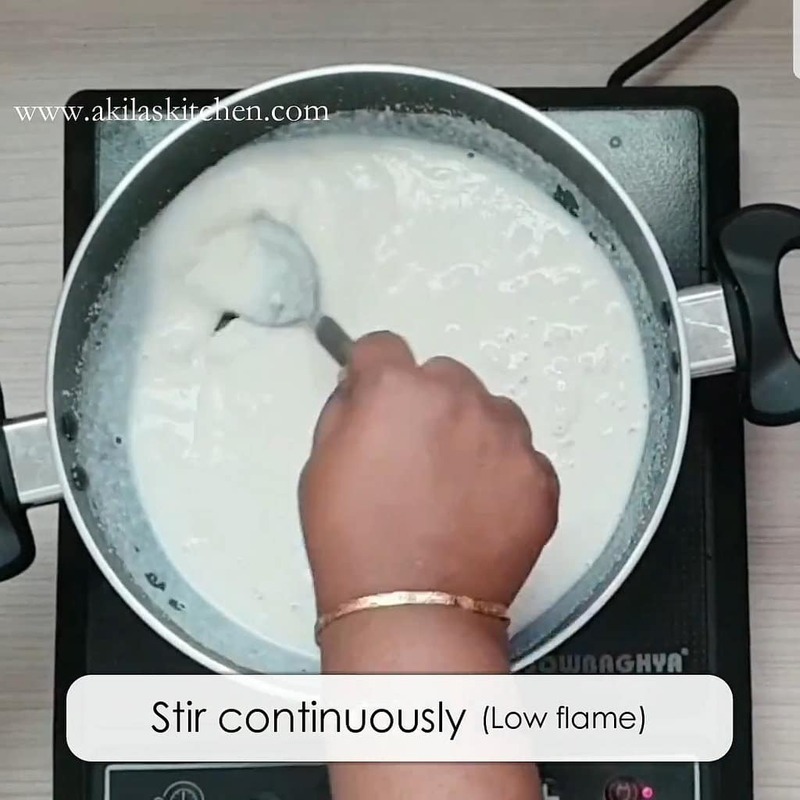 In the same pan add milk and just warm it. No need to boil it. 9. 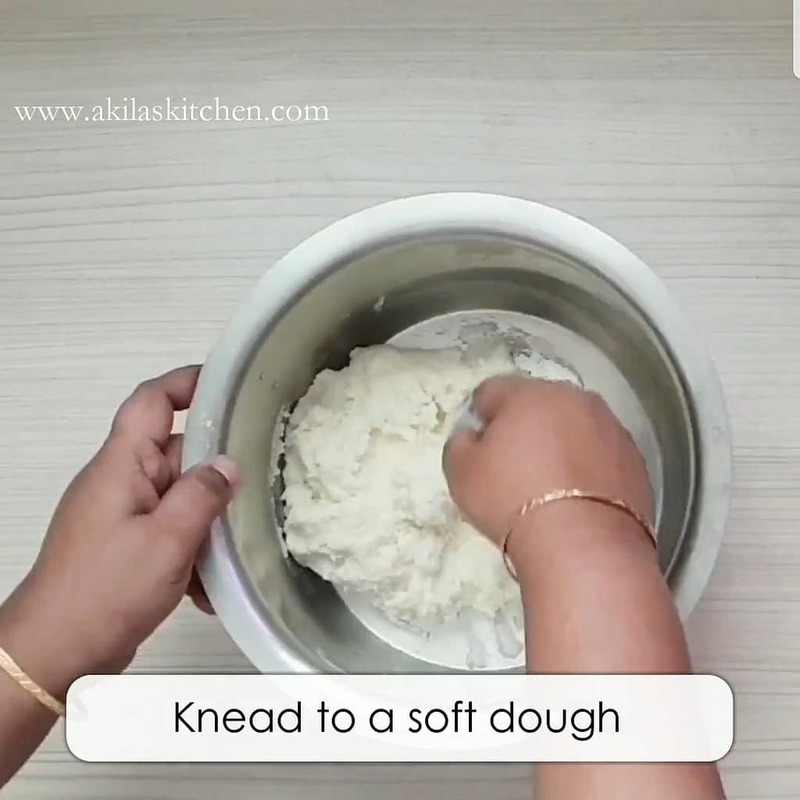 Add the ground rava to this and start mixing it immediately. Do not give any gap as it forms lumps and it will be hard to break later. 10. When you keep on mixing the mixture becomes thicker. 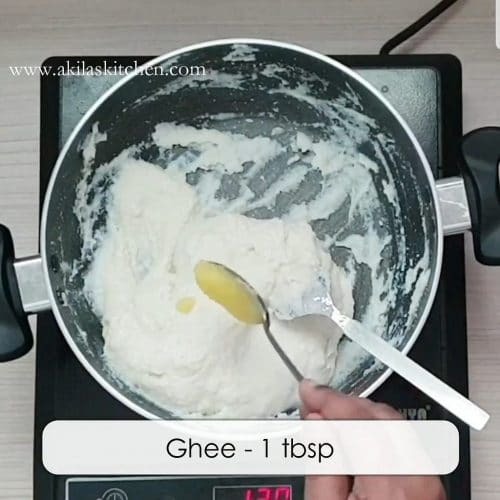 Now and the ghee to this and add a pinch of salt and mix it and switch off the stove when it turns thick but still soft. 11. Transfer this to another vessel and start to knead to make it even more softer. 12. Apply some ghee on your hands and start making small soft balls. So that the mixture does not stick on your hands. 13. Now in another vessel add enough oil to fry the balls. 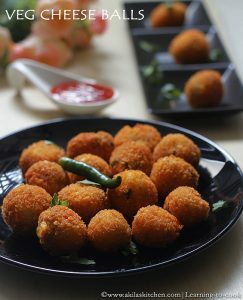 Drop the balls one by one on the hot oil and start frying it. 14. Fry it until it becomes light golden color. Do not over fry it. Also do not fry in very high flame as the outer layer becomes black soon and the inner part will not be cooked. 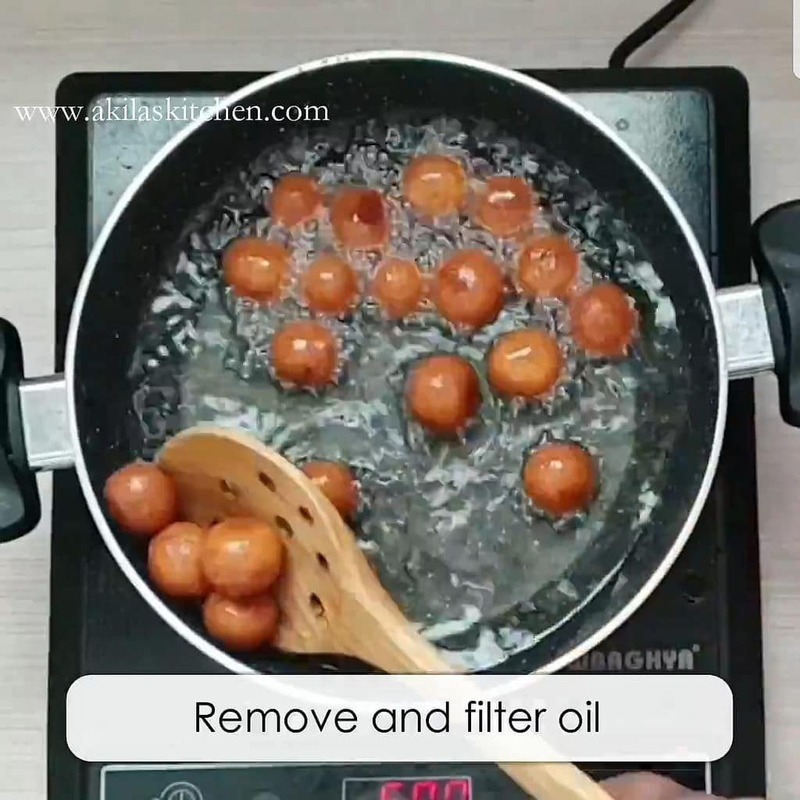 Once the balls have turned to light brown color remove it from the oil. 15. add them to the sugar syrup which we have prepared previously. 17. Since the sugar syrup would have cool down by now slightly, heat the sugar syrup slightly once the balls are added. Repeat the same process for the other batch of balls. 18. Let the balls rest in the sugar syrup for 2 to 3 hours so that it completely absorbs the sugar syrup. 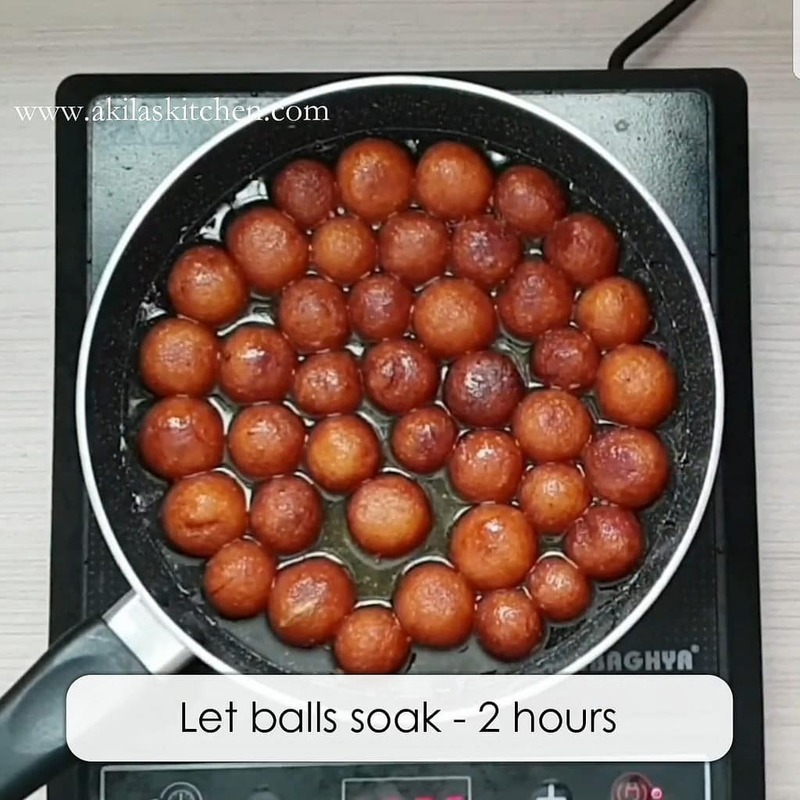 After three hours of soaking in sugar syrup the balls would have become very soft gulab jamuns. 19. Serve the rava gulab jamuns in a bowl. 1. My rava or sooji is not that fine. 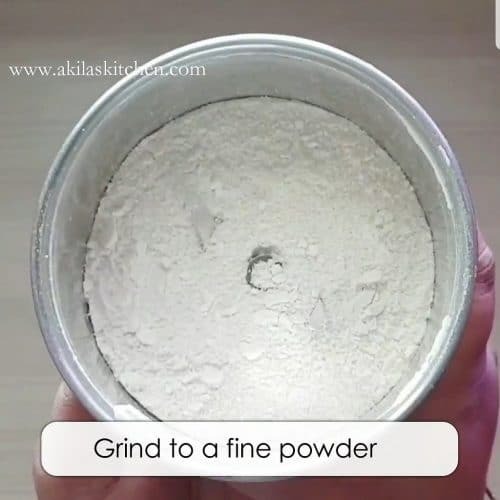 So I grind and made to a powder. If you have a fine rava, then you can use as it is without grinding. 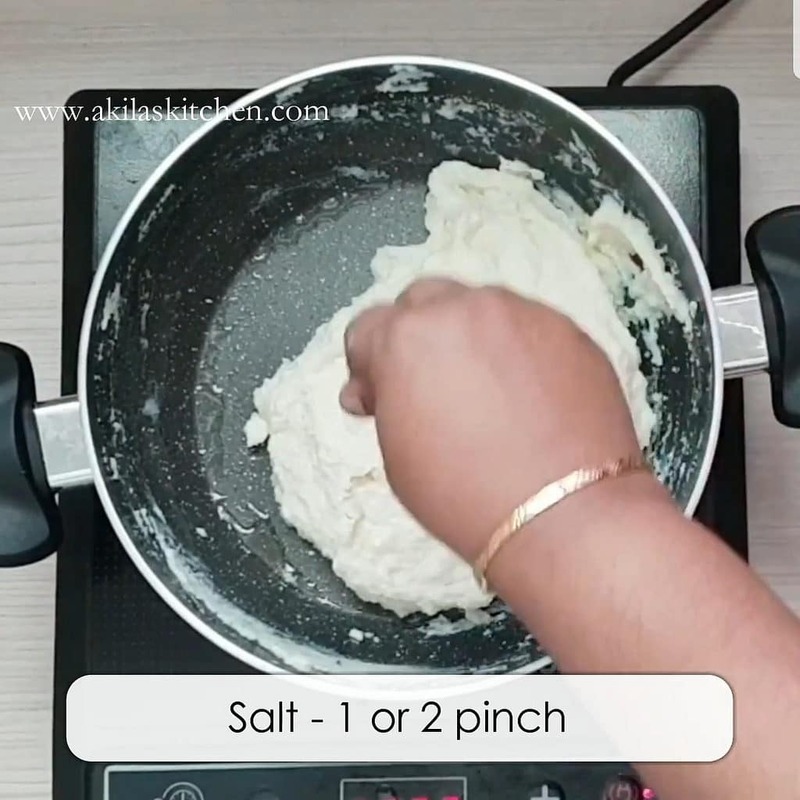 Also when we make it to a powder form the dough becomes very soft and we can easily knead it and we get very soft gulab jamun. 2. Adding salt is optional, but it enhances the taste. 3. If you like you can add any essence of your choice. 4. Adding saffron or orange food color is purely optional. 5. 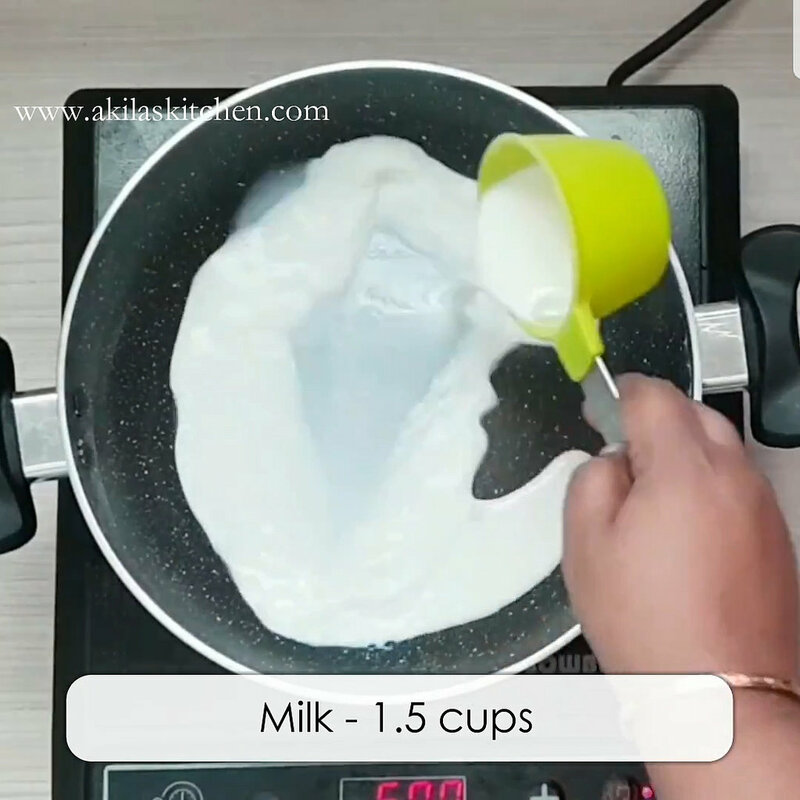 You need to add the rava when the milk is like warm. Do not boil the milk. 6. 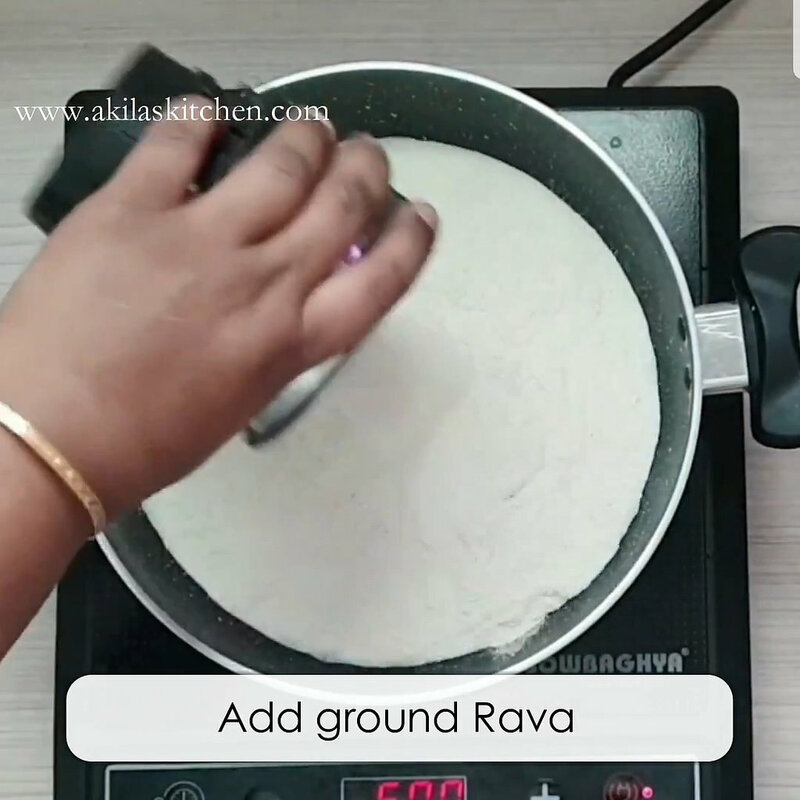 Once rava is added to the milk you need to keep stirring or else lumps would be formed and it will be hard to break while kneading. Also once rava is added immediately keep it in low flame. 7. 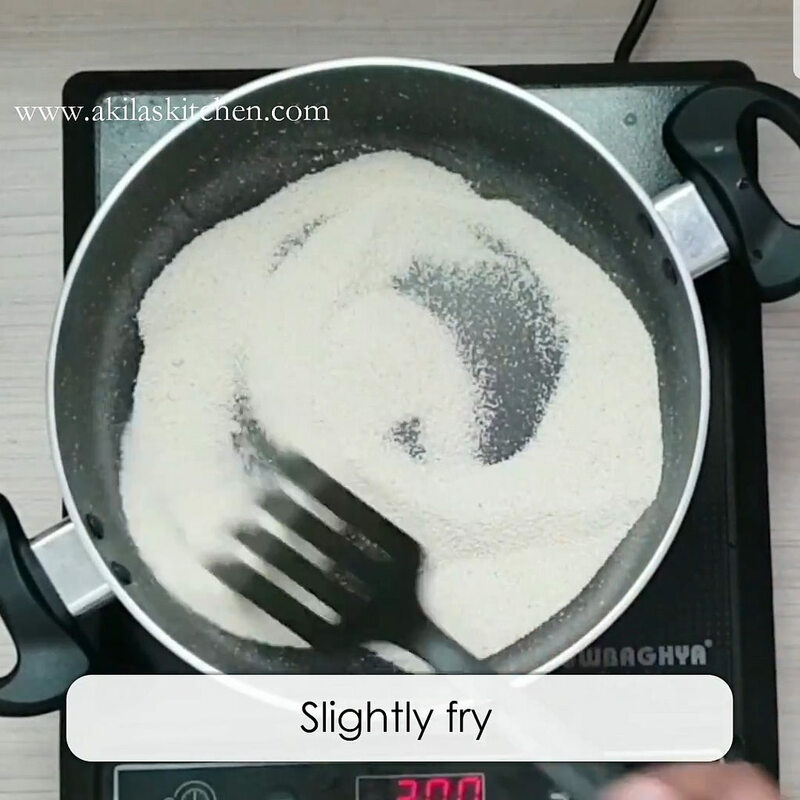 While Frying the rava no need to fry till it becomes light brown. You need to stop before it changes its colour.